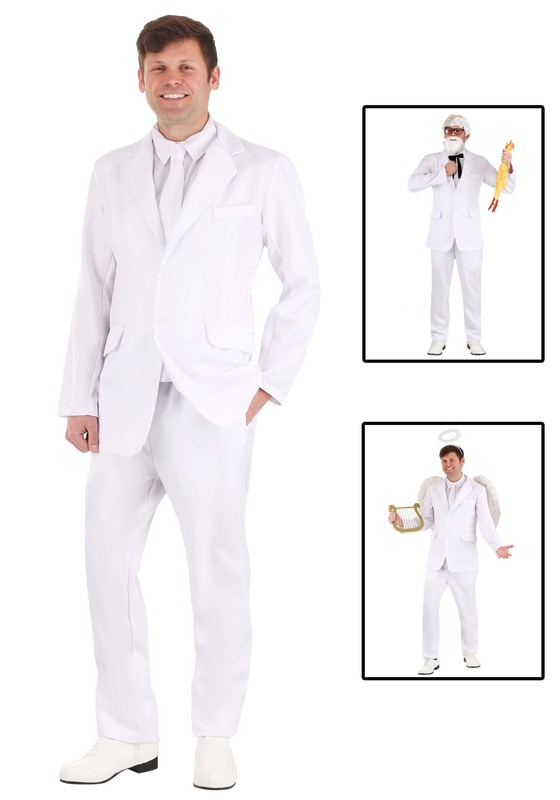 Be the coolest guy in the room with this white costume suit! 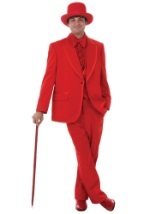 The high quality costume includes: jacket, pants, white tie and black bow tie. The jacket is made of 100% polyester and features real buttons on the front, as well as several faux pockets to give it the look of a real suit coat. The white pants have an elastic waist for comfort and flexibility, and also feature real pockets on top of the thighs. Finishing your look off is the white faux tie that simply ties around the neck with straps, and the black faux bow tie that stays in place with elastic. You'll be ready to sell some chicken buckets with this white suit!